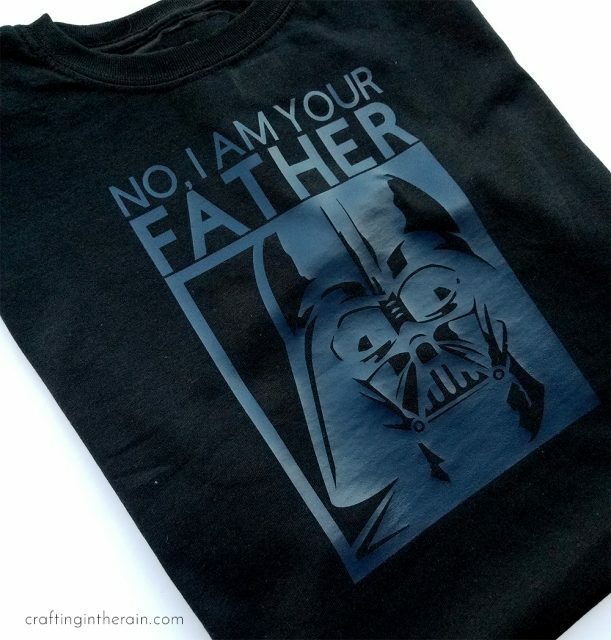 Here are the Cricut Star Wars images currently available in Design Space – and they’ve told us more will be added! You can buy individual images for 1.99 each, or the whole cartridge for 19.99 Then use them as many times as you want. 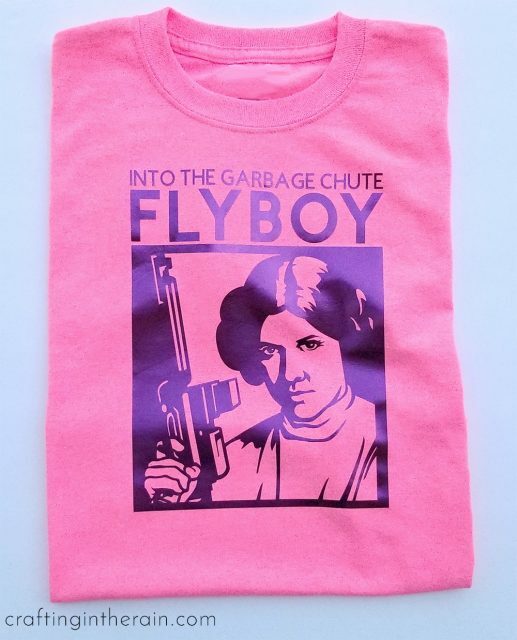 Get creative by adding text, or slicing off the names like I did for these shirts. 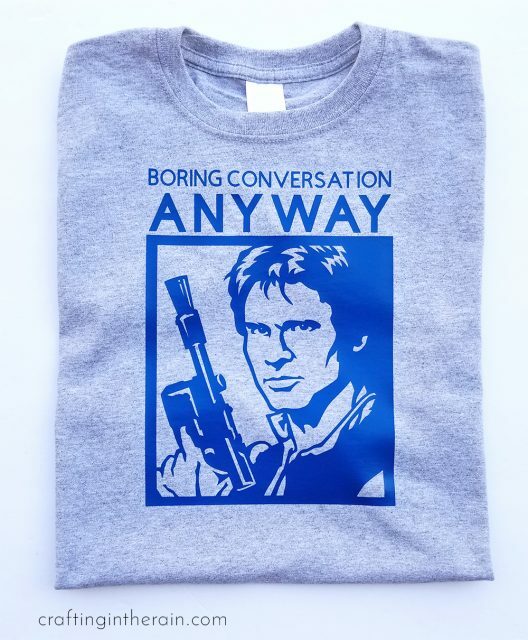 Han Solo quote shirt Cyan iron-on on Gray – you know you want to wear this one to the new Solo movie! For each of these designs, follow standard steps for using iron-on vinyl. Mirror the image on your mat, cut then weed out the extra vinyl. One tip I discovered for weeding these designs is to work from the outside in. It’s a little easier to tell which parts get weeded and which parts stay. Set the EasyPress to 315. 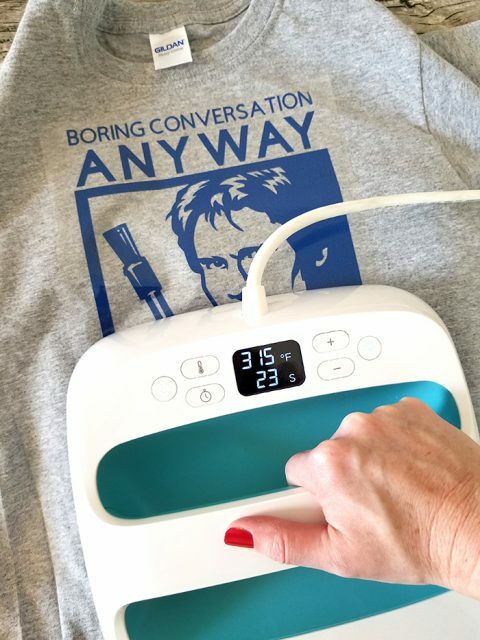 Preheat the shirt for 5 seconds then place the iron-on vinyl on the shirt. Apply with the EasyPress for 30 seconds on each section of the cutout. Flip the shirt over and heat from the back for 15 seconds. Remove the plastic carrier sheet when still warm. I always think watching weeding in fast motion is fun (and I wish I really could do it that fast!) Plus you can see what I mean about starting from the outside of the design and working in. So what do you think? 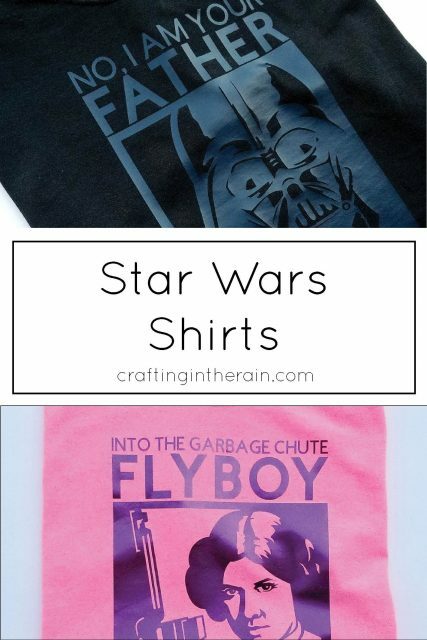 If you make one of these shirts, I’d love to see the result – send me a pic or tag me on Instagram (steph_crafting_rain) Also be sure to check out the hashtag #CricutStarWars for even more Star Wars shirts ideas.